Holidays can get complicated. If we don’t pay attention our debt grows, our peace shrinks and our stress expands. But it doesn’t have to be that way. 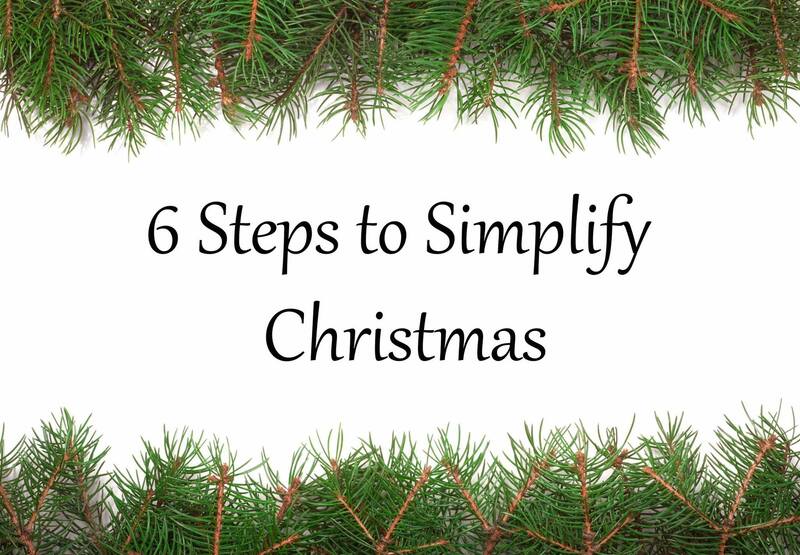 Here are 6 ways you can make Christmas a simpler, more beautiful season. Once you enter the festival of generosity, an amazing sense of peace flows into your soul. Christmas is hard for people because they set their expectations too high when they reunite with extended family members. Very few people have perfectly healthy memories with their family. Family is hard work and so lower your expectations that everyone will behave over the few days. You’ll be glad you did. We can’t judge our extended family relationships using the scale of a Hallmark Movie where everything is resolved in two hours. We must remember that we are all works in progress. You can’t spend your way into reconciliation. I know this will come as a blow to the credit card companies but it’s true. Physical, tangible presents will not change a life, but your forgiveness and unconditional love will. Jesus knew this about mankind: How you spend your money reveals the priorities of your heart. Every remote has one. Enjoy real people- not just the ones on TV. “No” is a complete sentence. You’ve heard it before but it’s worth remembering. You don’t have to attend every party or do everything you did last year. Slow down. Breathe. Rest.  Be aware of what you consume. Have a brownie. But not the whole pan. 5. Slim down the STUFF. Most people spend an outrageous amount of time adding to the stuff they already own. Take time to spend less on material goods, give away what you don’t need, and add breathing room in your home. O Lord, my heart is not lifted up; my eyes are not raised too high; I do not occupy myself with things too great and too marvelous for me. But I have calmed and quieted my soul. This is a promise to God’s people that less of the unnecessary will quiet your soul. The arrival of Jesus will change everything if we prepare. He will come to give us something money could never buy. May we not seek satisfaction in the things we touch. He will come to teach us how to live in dangerous surrender. May we not seek safety in this life. The good stuff always involves risk. May we live our lives by the measuring stick of how well we love each other. May we be the Body of Christ. May we live with each other in the land of grace. Don’t miss Jesus as we celebrate His advent with simplicity and love.